Diabetes mellitus is one of the leading causes of irreversible blindness worldwide, and, is the most common cause of blindness in people younger than 65 in the United States. In addition to being a leading cause of blindness, diabetic eye disease encompasses a wide range of problems that can affect the eye such as a reversible, temporary blurring of the vision, to sever permanent loss of vision. It also increases the risk of developing cataracts and glaucoma. Some people may not realize they have had diabetes mellitus for several years until they begin to experience problems with their eyes or vision. Severe diabetic eye disease most commonly develops in people who have had diabetes mellitus for many years, but they have had little or poor control of their blood sugar over that period of time. Over many years, high blood sugar may damage the blood vessels in the body. This damage leads to poor circulation of the nutrient rich blood to various parts of the body and subsequent damage to those tissues. The primary part of the eye affected by diabetes mellitus is the retina. 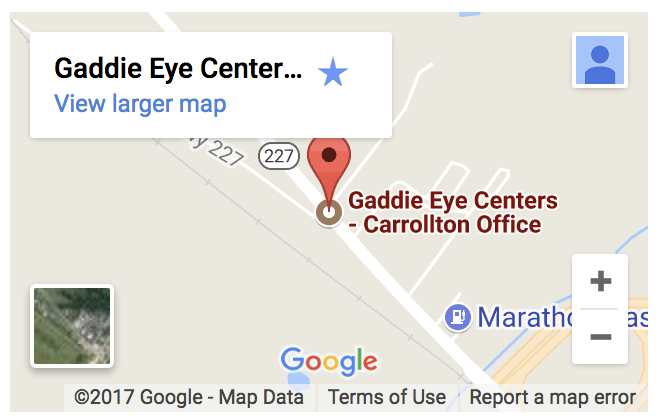 In a similar manner, if the retina is swollen, wrinkled, or otherwise structurally damaged, the vision in that eye will be blurry. Depending on the type and extent of damage in the retina, the change in vision will range from minimal to severe and be temporary or permanent. 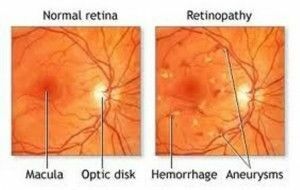 In people with diabetes mellitus, changes in the walls of the small blood vessels in the retina are caused by blood sugar abnormalities. These small blood vessels may begin to “balloon,” forming what are called micro aneurysms, as well as leak fluid (called edema) and blood (called dot and blot hemorrhages) into the retina. This process is called background diabetic retinopathy or non-proliferative diabetic retinopathy. Although new blood vessels may sound like a good thing, considering that the old blood vessels are damaged, the new blood vessels are actually more harmful than beneficial. The new blood vessels are extremely leaky and fragile, leading to bleeding inside the eye (called vitreous hemorrhage) and usually result in sever vision loss. 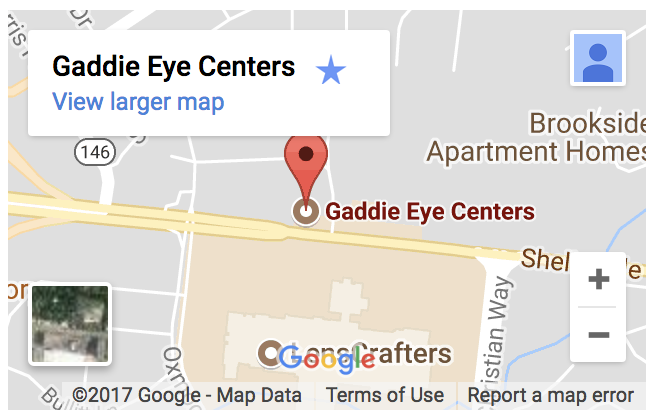 If not treated appropriately, this vision loss may be permanent. If the new blood vessels are extensive, they may cause scarring inside the eye, resulting in tractional retinal detachments, which is another cause of permanent vision loss. If you have fairly large, rapid shifts in your blood sugar levels, you may notice that your vision becomes blurry. This may occur prior to the diagnosis of diabetes mellitus, or it may develop after the initiation of treatment or a change in the treatment of diabetes mellitus. The sugar in the blood can diffuse into (or out of) the lens of the eye and cause it to swell (or shrink) resulting in blurring vision. This difficulty with vision or focusing will disappear once blood sugar levels have been stable for a few days. If you watch your diet, exercise, monitor your blood sugars, and take your diabetic medications, the chances of developing serious problems from diabetes decrease dramatically. The most important method of preventing eye disease related to diabetes is to maintain strict control of your blood sugar. High Blood pressure and high lipid or cholesterol levels must also be treated to decrease damage to the blood vessels within the eye. 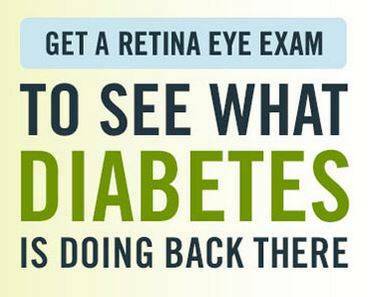 Even if you are not experiencing any symptoms due to your diabetes mellitus, you should have an annual eye examination. 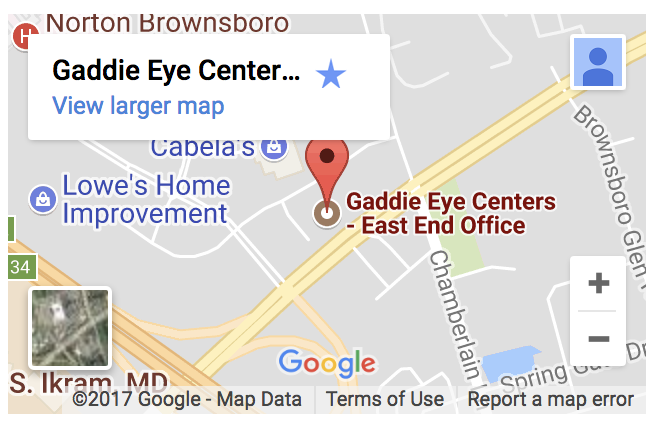 If you note any significant changes in your vision, other than a mild temporary blurring, you should contact us immediately. Medical treatment of diabetic eye disease is generally directed at the underlying problem – the diabetes itself. The better control you have of your diabetes, the fewer problems you will have in the long run. Currently, effective medications do not exist to directly treat diabetic retinopathy and surgery (i.e. laser) is the treatment of choice. 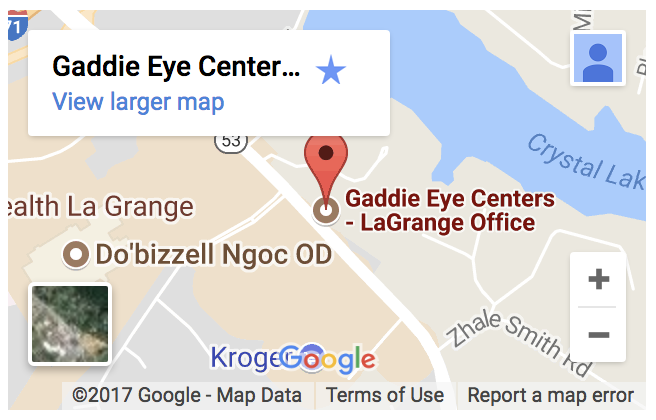 Surgical treatment of diabetic eye disease most commonly involves treatment of the retina with an argon laser. * For background diabetic retinopathy, focal/macular photocoagulation or grid macular photocoagulation is performed. During this laser treatment, a highly focused beam of laser light is used to treat the leaking blood vessels or to treat the area of retinal swelling. * For proliferative diabetic retinopathy, pan retinal photocoagulation (PRP) is performed. During this treatment, the entire retina, except for the macula (the center of the retina), is treated with laser spots to decrease the oxygen demand of the retina and remove the need for these new blood vessels to grow.